Cheap holidays in 2019 needn’t mean going to the same old destination. Sometimes it’s nice to go to a much loved destination, but other times you might prefer something that’s more up-and-coming. The good news is that new parts of the world are opening up all the time, served by routes on our favourite airlines, new hotels, attractions and a desire to get a slice of the tourist pie. In some cases, going to somewhere that’s a little less familiar can actually be a money-saver, as well as a new experience. Here are some 2019 holiday ideas to help you plan your next trip. For example, families who don’t want to fly too far might look to the eastern Mediterranean and the Adriatic coast. Croatia is a holiday destination with 2000 miles of mostly unspoilt coastline, scattered with thousands of islands. The perfect mix of sea and sunshine, this is ‘the Mediterranean as it was’. Late August and September is the best time to grab a cheap holiday here. In the eastern Med, travellers are starting to appreciate the Lycian coast in Turkey more and more. Once again, this is a very unspoilt part of the world, with remarkable historical remnants of over 40 ancient cities. There are beaches where you can go turtle spotting, wonderful walking trails, sea kayaking, mud-baths and plenty of peace and quiet. Couples looking for something different should consider a new Arabian jewel, Oman. It’s a holiday destination for those who find Dubai just a little too flashy. Oman combines modern comforts with traditional design, and the true Arabian culture. You won’t see any skyscrapers here, but rather a tasteful blend of the modern and the very, very ancient. 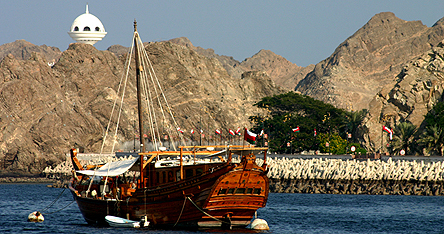 There are beach resorts around Musandam, as well as the majestic desert dunes of the Wahiba Sands. The capital, Muscat, is a fascinating city destination. A dhow cruise along the coastline of Musandam will open up a coastline described like being a desert version of the Norwegian fjords. Looking much further east, Manila should be on the destination list for back-backers who fancy a frenetic city with tons of colour, shrines, parks, great food, and a basketball-mad population. Whether or not you will try the local speciality ‘balut’, a duck egg with plenty of ‘body’, is up to you, but it comes highly recommended. Burma, officially known as the Union of Myanmar, is a destination quickly opening up to the more adventurous traveller. This is a land of fairy-tale Buddhist shrines, chaotic cities and friendly locals who find tourists a bit of a novelty. A highlight would be a visit to Bagan, where 2000 majestic 11th – 13th century shrines cover a jungle clearing 16 miles across. In Africa, Tanzania is starting to emerge from the shadow of long-time favourite, Kenya. Tanzania offers its own very unique choice of beaches and safaris. Camp out on the Serengeti Plains on your hunt for the ’big five’. On the coast, Kendwa Beach has the white sands and crystal-clear Indian Ocean to make lazing in a hammock the best way to spend a sunny African day. Look forward to the freshest of fish for dinner as the local dhows bring in their catch.